Italian TPR Agricultural Horses are draught horses, characterised by a heavy frame and great development of the muscles and the skeleton, are differentiated into slow heavy draught horses, represented by the Belga breed, and fast heavy draught horses, represented by the Italian Agricultural Horse. Thanks to its high speed of growth and the notable development of its muscle mass, these alter are also particularly appropriate for the production of meat. 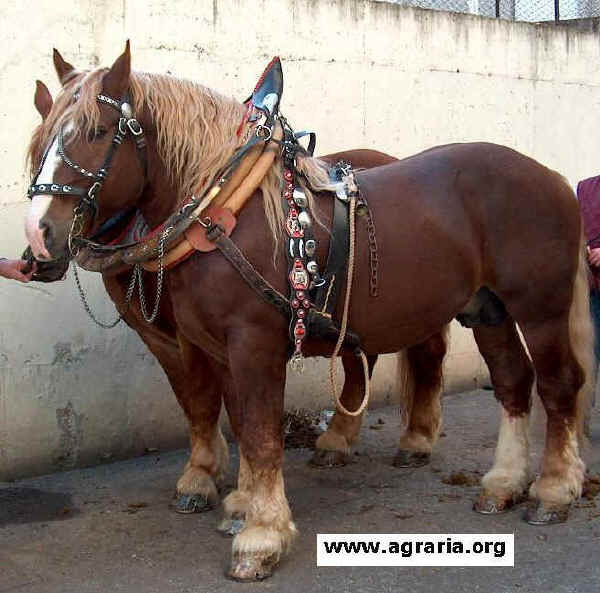 The Italian TPR Agricultural Horse has its origin in the plane of Venice, Ferrara and Friuli. At first stallions from Polesine were used, but later on English thoroughbred stallions were introduced, along with Hackneys and Arab thoroughbreds. Around 1900 production was increased by recourse to the Boulonnais, Ardennais and Norfolk-Breton breeds. The Stud Book is held by the National Association of Breeders of the Italian TPR Agricultural Horse.